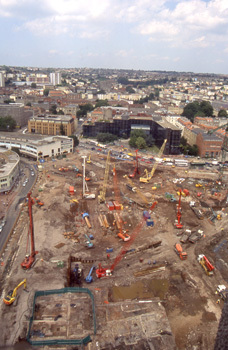 The development of Cabot Circus shopping centre in 2005-2008 presented us with the rare opportunity to investigate a large part of an urban landscape: the Broadmead suburb of Bristol. 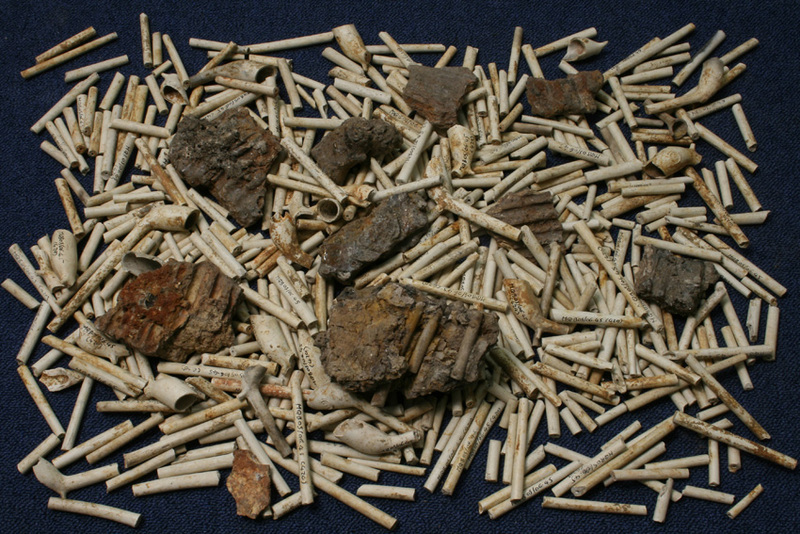 Both fieldwork and post-excavation on this project were undertaken in partnership with Pre-Construct Archaeology. The former presence of a Dominican Friary and later Friends’ Meeting House at Broadmead were already well known, and surviving buildings of both are features of a large open piazza in the the new commercial complex. 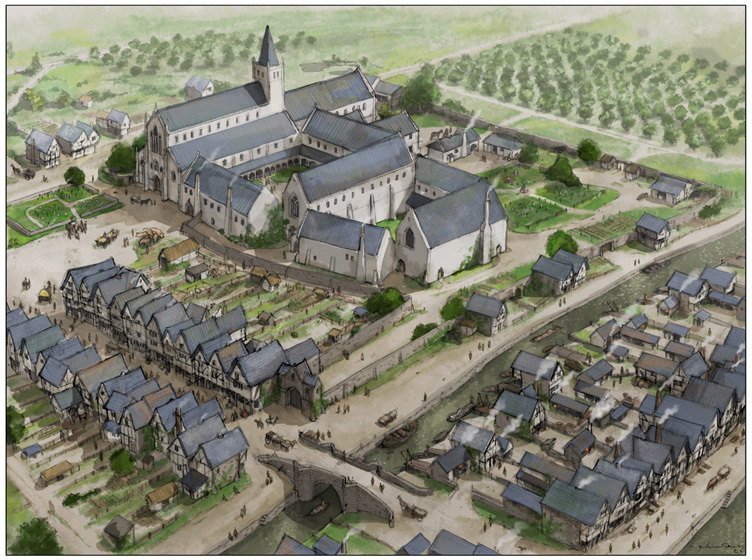 Further elements of the friary, including remains of its church and two cloisters, were revealed in various trenches within the area of the former precinct, enabling a reconstruction of the precinct and its environs to be made. The project also shed light on other aspects of the suburb’s past. Borehole investigations allowed the prehistoric environment of Bristol’s Frome valley to be characterised, with evidence for small-scale tree clearance from the surrounding slopes during the later Neolithic and early Bronze Age, and for the floodplain then remaining as mud flats until the development of the suburb in the 12th century, and the arrival of the Dominicans in the 13th century. River access and the presence of flowing water were important assets for the industrial medieval and later suburb, which was home to tanning, leatherworking, ironworking and cloth industries. The Dissolution saw the demolition of parts of the friary, and by the later 17th century the surviving claustral buildings were occupied by trade guilds and the Quakers had built their first Meeting House. The 18th and 19th centuries were times of enormous expansion for Bristol, when large-scale development expanded the suburb to the north and east of the former friary. These new developments included industrial premises and religious buildings alongside terraces and courts of domestic dwellings. The recovery of a significant assemblage of tobacco pipe bowls and kiln wasters from these investigations has enabled the development of new typology for Bristol, which should prove invaluable in dating future assemblages recovered from the city. 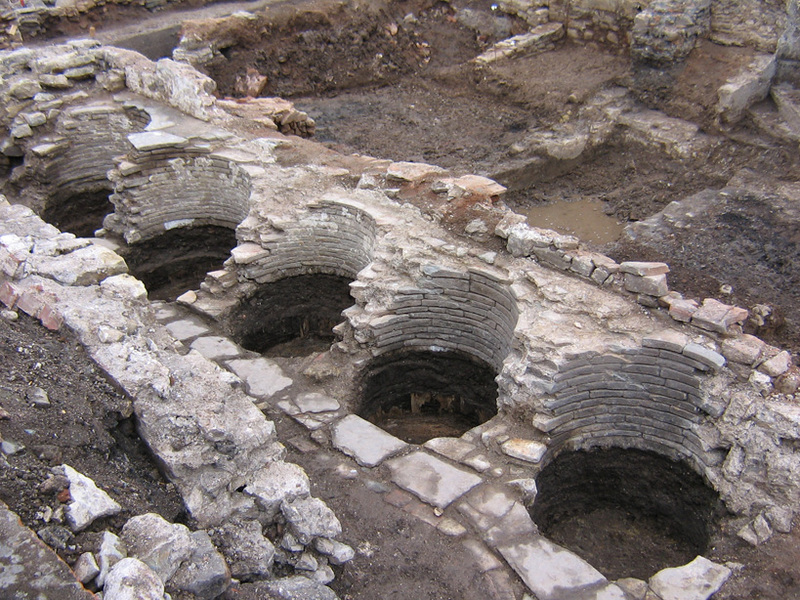 Full details of the project can be found in the published account of the excavations: Friars, Quakers, Industry and Urbanisation: the archaeology of the Broadmead Expansion Project, Cabot Circus, Bristol, 2005–2008.